You’ll Be Sorry! is a superb account of the 66,000 women who left home to participate in the Armed Services during World War II. Their stories range across Australia and are recounted with unflagging honesty. Ann Howard presents a vivid account of women’s growing confidence as they were given responsible positions, only to find there was no place for them outside the home after peace was declared with returning servicemen taking the jobs that had given them purpose. There was a social expectation that they should return to their homes, have babies and carry on as before, caring for the often traumatised returning men. Many of their stories are shocking and horrendous, and their ensuing battle for equal opportunity set the foundation for the Women’s Liberation Movement of the 70s. A number of the brave, wonderful women interviewed in You’ll Be Sorry! are no longer with us, so these accounts are historically invaluable. Ann Howard loves life. She is an enthusiastic traveller and adventurer. She has ridden elephants through the Sumatran jungle; climbed Anak Krakatau when it was erupting; made a 14,000 feet free‐fall from a plane and rock climbed in Tahiti. She brings this enthusiasm to her writing and studying. She enjoys her grandchildren, her partner’s musical gift, her dogs, garden and a good single malt; not necessarily in that order. After writing several prize winning history books on the Hawkesbury River region, Ann has turned her focus to Australia’s WWII social history, with A Carefree War about the child evacuees in NSW, and You’ll Be Sorry, documenting the lives of Australian service women during and after WWII. 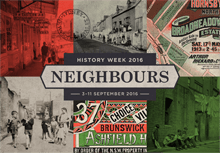 This is an official event of History Week 2016, supported by the History Council of NSW. 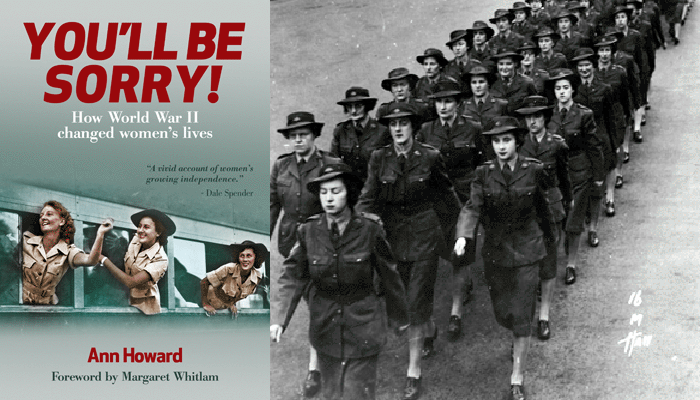 In You’ll Be Sorry, Ann Howard gives a compelling account of the remarkable women who participated in the Services during World War II. Their experiences during the war and after, when they were called on to make a further (and to some, an even greater) sacrifice by returning to the home, sparked great changes. Overcoming resistance and prejudice, together they set the foundation for the Women’s Liberation Movement of the 1970s and for women to have more and ‘be’ more. The stories of these women are recounted with unflagging honesty through interviews, diary notes and supported with poignant photos and remarkable archival material.